The Chinese archaeologist credited with discovering the emblematic ancient Terracotta Warriors, Zhao Kangmin has passed away, Channel News Asia reported. He was 82. 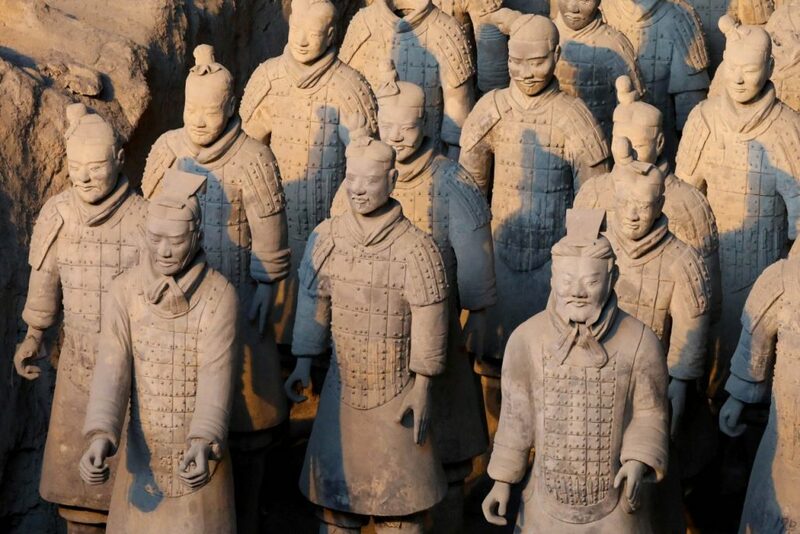 The 8,000-man clay army, crafted around 250 BC for the tomb of China’s first emperor Qin Shihuang, is a UNESCO world heritage site, a major tourist draw and a symbol of ancient Chinese artistic and military sophistication. Zhao’s death on May 16 was reported by the state-run People’s Daily late Friday. When the farmers first stumbled upon the tomb in Xian, capital of the northern province of Shaanxi, they alerted Zhao – then a curator at a local museum – to their discovery. “I went to the site with another officer … Because we were so excited, we rode on our bicycles so fast it felt as if we were flying,” the archaeologist wrote in an article published in 2014 on the website of the Museum of Qin Terracotta Warriors and Horses. “The commune supervisor told us that heads and partial torsos of six to seven terracotta figures had been found by men digging a well. Someone had taken one of the heads home and stuck it in a granary to chase away rats,” Zhao wrote. Zhao ordered the farmers to collect the broken terracotta pieces and pile them on to three trucks, which he took to his small museum. He began to reconstruct the statues from these fragments, some as small as a fingernail, according the article. “It was the tail end of the Cultural Revolution. But some factions were still against restoring old things. So we decided to keep it a secret,” he wrote. But an article on Zhao’s work by a reporter from state-run Xinhua news agency soon roused the interest of authorities in Beijing and a larger team of archaeologists was sent to excavate the site alongside him. China’s State Council later recognised Zhao as the discoverer of the painstakingly carved battalion of terracotta soldiers, archers, and charioteers, each with unique facial features, costumes, weapons and even hairstyles. The group of farmers petitioned the Chinese government for recognition of their discovery and compensation in 2004, according to media reports, but it is not clear whether their claims were upheld.